General Hospital (GH) spoilers update for Monday, January 22, tease that Sam (Kelly Monaco) will show off her wedding dress. Alexis (Nancy Lee Grahn) and Molly (Haley Pullos) will gush over how beautiful the bride looks. They’ll hope Sam’s going to have the romantic wedding she’s dreaming of, but Jason (Steve Burton) will still be in the back of her mind. 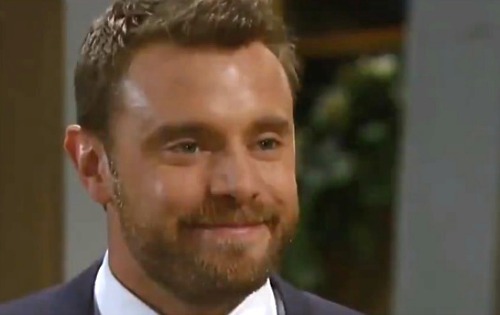 Meanwhile, Curtis (Donnell Turner) will be happy for Drew (Billy Miller). He’ll show his pal some support and insist this is going to be a great night. Across town, Jason will be lost in thought. He’ll head to the footbridge to mull over what he’s losing. Spinelli (Bradford Anderson) will track down Jason to make a passionate plea. He just won’t think this is what Sam wants deep down. General Hospital spoilers say Spinelli will urge Jason to stop the wedding. He’ll believe Jason’s the only one who can make Sam feel safe and content. Jason will try to shut down the discussion, but Spinelli will keep at it. GH fans know how he can be! When there’s something on Spin’s mind, he just can’t let it go. Jason will finally shout that Spinelli needs to stop. He’ll argue that Sam made her decision and that’s that. At Sonny’s (Maurice Benard) place, Anna (Finola Hughes) will take a stand. She’ll feel like there has to be a better way to take Faison (Anders Hove) down. They’ll ignite a major battle if they use Faison’s son to get to him. Sonny will defend his plan, but Anna will try to work with him on a better one. She may or may not get Sonny on board, but she’ll at least join his team. That way Anna can be part of this and hopefully control it somewhat. She’ll feel like Sonny and Jason need her to rein in the chaos. Elsewhere, Faison will stand over Dr. Obrecht’s (Kathlee Gati) unconscious body. He’ll undoubtedly move her to the location of his choice. Dr. O should be in for a real shock when she wakes up. She lied to Faison and she’s about to face his fury for that. Laura (Genie Francis) will also have some unfortunate updates to pass along. She’ll give Lulu (Emme Rylan) the news about Spencer’s (Nicholas Bechtel) broken legs. Laura will admit she’s withdrawing her candidacy to care for Spencer in France, so Lulu will say goodbye for now. For those GH fans who haven’t yet heard, Genie Francis has been dropped to recurring status by TPTB – and that is why she is being ushered off the canvas in such a hasty and awkward fashion. At GH, Michael (Chad Duell) will be taken aback by Nelle’s (Chloe Lanier) gift. She might hand over an ultrasound picture or something else that will leave Michael in panic mode. The closer the birth gets, the more worried Michael becomes. He’s not handling all this very well! 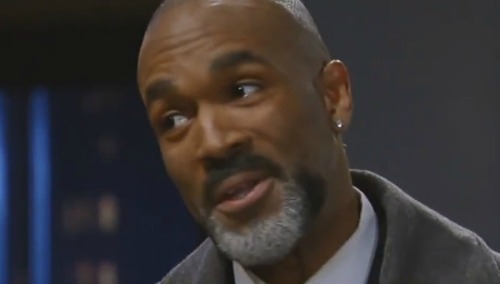 General Hospital viewers won’t want to miss all the drama ahead. We’ll keep you posted as other GH details emerge. Stay tuned to the ABC soap and don’t forget to check CDL often for the latest General Hospital spoilers, updates and news.